Munster lock Donncha O'Callaghan has been handed a two-week ban for kicking Ulster centre Stuart Olding. 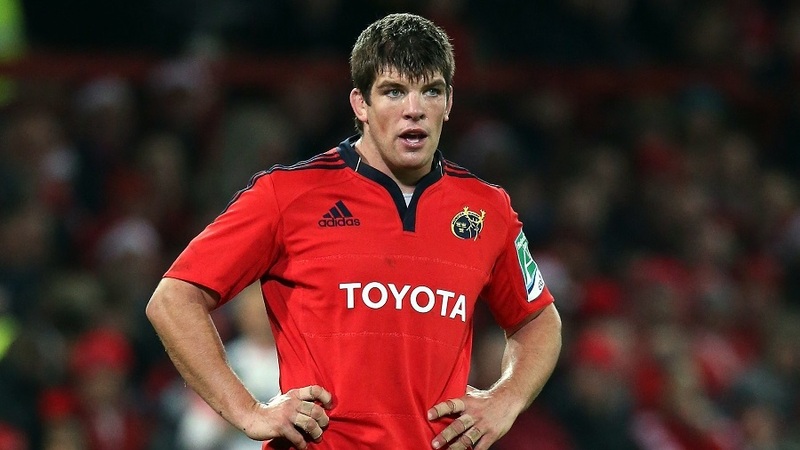 Former British and Irish Lion Donncha O'Callaghan appeared before a disciplinary committee in Glasgow on Tuesday after being cited for the incident, which occurred in the first-half of the Pro12 clash between Munster and Ulster on Friday. The committee, having reviewed video footage, found O'Callaghan guilty of foul play and upheld the citing complaint. The act was deemed to be at the low end of the scale and, after taking into account a good record over a long period of time, O'Callaghan's conduct at the hearing and the fact that he made contact with the shoulder and chest area, the committee deemed the crime to be worth of punishment below the entry-level four week ban. O'Callaghan will miss Munster's return European Champions Cup fixtures against Clermont Auvergne over the coming fortnight.